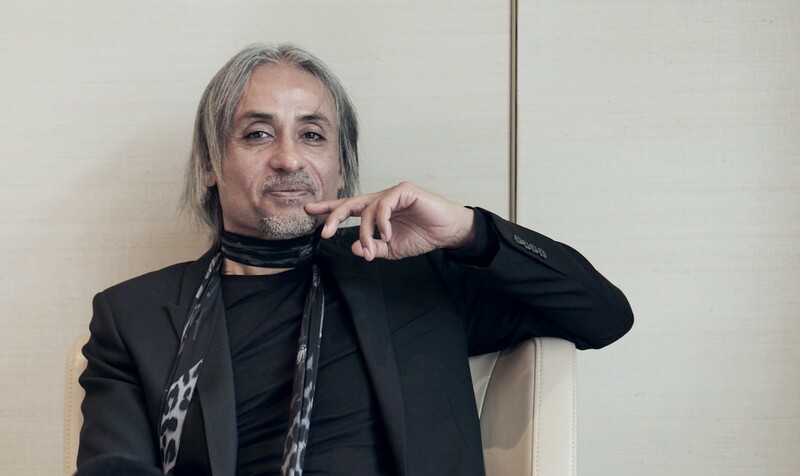 Zaim Kamal might be creative director of Montblanc — one of the most established and multifaceted maisons of luxury in the world, specialising in writing instruments, timepieces and leather goods — but his own sense of style cannot be ignored. Zaim spends his time criss-crossing five major cities, famously flying 200 times a year, usually from the UK — where he and his family live — to Hamburg, Germany, Montblanc’s headquarters and seat for its writing instruments; Florence, Italy, for leather goods; Le Locle, Switzerland, for watchmaking; and Paris, France, where two of his key designers live. Of course, he flies to other destinations for work as well as leisure. The best way to describe Zaim — just under six feet tall and whippet thin — would be, with his approval, Keith Richards meets Dorian Gray. Articulate and with his flawless English taking on the faintest hint of a German cadence due to his schooldays and time spent going in and out of the Montblanc mothership in Hamburg, there is no denying Zaim cuts a striking figure — it is more rock star than creative director of a luxury goods conglomerate, really. But perhaps it is this very global approach and urbane spirit that allows him to intuitively tap into the spirit of the times and ensure that his finger is on the pulse of what today’s ever-discerning luxury market demands. Seated next to him for dinner at the Waldorf Astoria Beijing, I observe his long, lean frame, dressed in a black Saint Laurent suit paired with a turtleneck and his trademark high-heeled boots. His layered, shoulder-length salt-and-pepper hair, I later learn, is always kept in check by the team at Vidal Sassoon London. An image of a serpent is tattooed on his right third finger while another snake, this time in the form of an earring from Montblanc’s Rouge et Noir collection, dangles from his left earlobe. For the full story, pick up a copy of The Edge Malaysia (Apr 15, 2019) at your nearest news stand. Save by subscribing to us for your print and/or digital copy.